Want more web traffic, sales, leads and phone calls? Get it with help from Black Hole SEO- One of the Top Rated HVAC SEO companies in the nation. If you've been looking for a HVAC marketing company that has innovative and powerful online HVAC marketing solutions you've come to the right place. At Black Hole SEO, we specialize in working with Air conditioning and heating contractors across the US and can help your HVAC business increase its sales and leads by effectively marketing your air conditioning business online. If your Air Conditioning business is lacking customers HVAC SEO, PPC Ads management may be a viable option for you. Did you know that over 9/10 online interactions with a small business begin on search engine's like Google or Bing? And that over 95% of consumers go online to find local hvac and furnace repair companies.. It's true and if your air conditioning and heating company isn't ranking on these search engine's you're missing out on a different kind of life. Instead of scrapping up any ac repair job you can you'll begin to rake in the big jobs. You're busy and they are too, so when they go to look for a quick, reliable ac repair partner- you'll be right at the top. In short, HVAC SEO is the process of infusing air conditioning and heating keywords into relative, yet catchy content for your website that will ultimately help your site rank. In addition to having catchy, hvac keyword content infused on your website you'll also need strong, niche relevant links and a few other variables as well. Essentially, your air conditioning and heating website needs to be mobile responsive and secure (https) to insure the best outcome for your HVAC SEO. Truly successful HVAC SEO campaigns have unique relevant content, outstanding citation sources and very powerful hvac links all tied to the website. The BEST HVAC Marketing Services on the Internet! Before we look at dominating our competition on Google, let's look at a critical factor in long term ranking of your HVAC website. It's called your domain name, or URL and choosing a below average one can end up costing you more money than you know. If you go on Godaddy you'll see that domains can be purchased from $12.99 all the way to thousands of dollars. Why though? How can a simple domain like www.acrepairmiami.com be listed for 5 thousand dollars? It's because of niche relevance and Google Adwords has a great way of explaining this to us. In Google Adwords you'll see that specific keywords are searched a certain amount of times with an associated cost per click. It's paramount you purchase a domain with a high search volume and cost per click (CPC) to maximize domain effectiveness and niche dominance. Doing so provides your HVAC company a critical asset that will ultimately help rank your website above your competitions. If you're serious about successfully marketing your air conditioning company you're going to need a mobile-friendly website. When Google looks at ranking HVAC websites it's looking for a few critical things: Content (niche + city relevant), Links, Mobile-Friendly, Fast. We started by building a website for our client that includes niche + city content, individual pages targeting different cities, specialty pages (ac unit replacement) and a contact page. It's paramount you get a fully-customized HVAC website for your air conditioning company. Look at how we integrated the target keyword into the SEO title's for this HVAC website. There are many ways to optimize a page title however Black Hole SEO experts know the BEST way. In order to capture the Google Algorithms attention you need to list multiple keywords (not necessarily target keywords) into the meta-description. Doing this will allow your sub-page to encompass multiple keywords which is a critical factor in ranking for multiple target keywords! 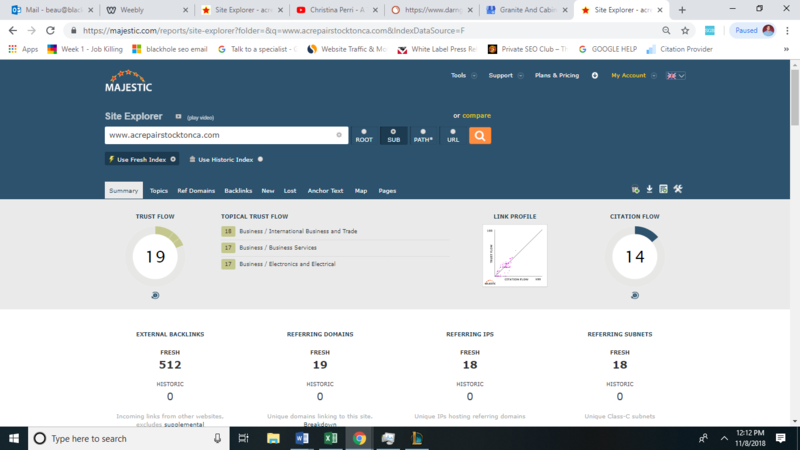 The first step in increasing the ranking for your Map Pack Profile (GMB Listing) is buy getting niche relevant citations. When Google looks at ranking a Google my Business listing, it's algorithm will literally ping your website and crawl every link associated with it. After Google is done crawling your website it will make a decision. If your website has multiple citation sources (300+) and they all say the same thing, your listing will be rewarded by being listed higher. If there are multiple discrepancies within the citations, different name, website, phone number it will penalize your listing until it's fixed. The secret to ranking your map pack listing is having multiple citation sources saying the same thing about your website. Look at the external backlinks tab in the picture above. You'll notice that the links are increasing. This is from the 350 Google My Business Citations that we're ordered. 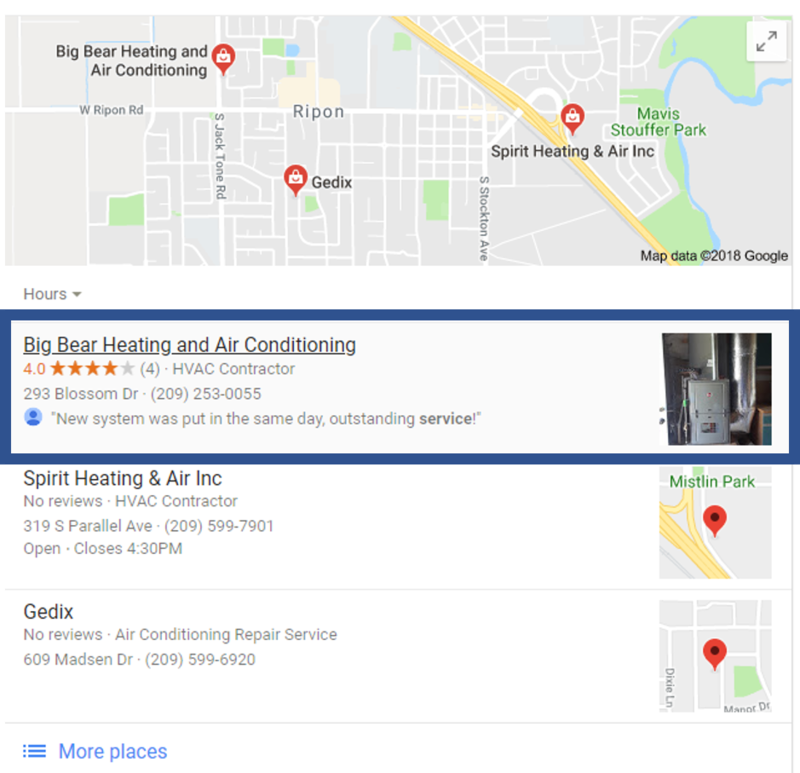 As time passes for this HVAC Marketing Campaign Google will slowly integrate more and more of these business listing sites into the link profile. This will not only increase your air conditioning website's credibility in Google's eyes, it will increase your standing on the Google Map Pack as well! After we published 350+ citations, you can see the links being acquired into the link profile of the air conditioning website. These citations are not only important for ranking the Google My Business profile but for also brand recognition by the search algorithm. Watering down your anchor text profile (how websites point back to yours) is critical when adding powerful links that will have long lasting SEO benefits. A press release is the fastest and easiest way to increase your air conditioning company's link profile. The beautiful thing about the internet today is that all of these news websites, (CNN, MSNBC, FOX) will all publish your company's information online if you pay them too. This allows your business to acquire backlinks from these sites which builds your websites credibility in the long term. Lacing your Press Release with niche relevant keywords + city will sometimes even rank specific articles for your target keyword. These separate articles will point back to your HVAC website giving it more dominance within your service area helping you rank faster. ​Press Releases are a great way to acquire backlinks, plain and simple.